DURATOP Epoxy Resin Countertops are filled epoxy resin, molded into homogenous, non-porous sheets with no surface coating. All sheets are color and pattern consistent throughout the thickness and will have integral or adhesively seemed components up to maximum practical length. Epoxy resin lab tops are molded from modified epoxy resins and inert fillers that have been compounded and completely cured in processing to provide optimum physical and chemical resistance properties required of a heavy duty laboratory table top. work surfaces, with their smooth, non-glare matte finish, are molded in several thickness', with the typical and most popular thickness being 1" (25mm). When fabricating Duratop laboratory tops and sheet material at the ISO 9001 certified manufacturing facility, all fabricated cuts are made with diamond tipped, water cooled, rotary saws. Sink cutouts, faucet or gas tap fixture holes or other service hole requirements, are cut with CNC diamond tipped routers and drill bits. Typical specification for epoxy countertops in accordance with The Woodworking Institute (W.I.) and its US or Canadian affiliates is 25mm or 1" Thickness. The maximum spCan for unsupported epoxy shall not exceed 30" (762mm) without intermediate support. The maximum cantilever shall not exceed 12" (305mm) without intermediate support. 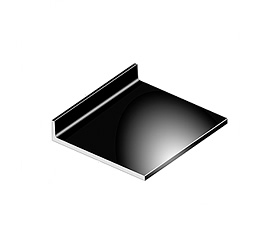 The fabricated sheet material comes with a drip groove cut on the front underside of the sheet material at a prescribed depth of 1/8" (3mm), 1/8" (3mm) width and 1/2" (12mm) distance from the front or side edge. EPOXY CURBING 4" (100 mm) typical, also known as applied splash, is provided loose, cut to size for field application, with each sheet order, if required, to match the countertop sizing, or can be field cut from sheet material to meet job requirements. 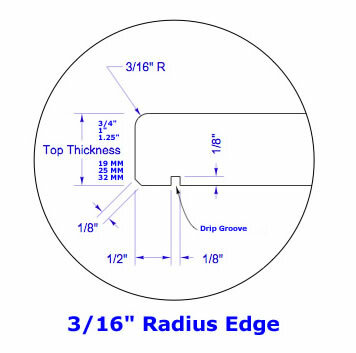 The top front edge and exposed sides are typically eased with a 3/16" radius, 1/8" bevel or chamfer. 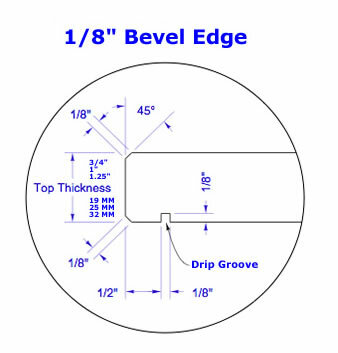 An alternative to applied back splash is our Integral Coved Curbing (ICC) as described in the below sections. MOLDED Marine Edge / No-Drip Edge Duratop epoxy countertops or laboratory tops can be manufactured with an integral no-drip marine edge on front and/or sides, as required or specified. Unapplied Marine Edge (UME) Duratop epoxy flat strips - Duratop epoxy UME strips are used for attachment on the top surface of counter top material to form a marine edge or no-drip edge and offered in +1/4" (7mm) thickness and 1.9 meters (6.27 feet) long. Now available in a "flat" section that attaches only to the surface of Duratop epoxy or Resistop solid phenolic in a width or depth of 1.1" (28mm) or in an "L" shape configuration attached to the surface while covering the front edge as well. Heights of the front edge range from 3/4" to 1.25" (19mm to 32mm). consist of a polymerized cast resin material formulated to provide a surface with high chemical resistance characteristics. The combination of epoxy resin and asbestos free inert filler materials shall be oven-cured in molds to obtain maximum chemical resistance, and then removed from the molds and oven tempered to achieve maximum physical strength and stability. Surfaces shall have a uniform low-sheen matte surface finish and the materials shall be extremely hard and resistant to scratches and abrasion. Surface is to be flat with square side edges or fabricated and finished if sills protrude past wall depth. Color shall be as required by architect or site conditions, obtained from the manufacturer's standard color range. Colored Epoxy adhesive for securing interior stools to substrate shall be Duratop Epoxy Smooth-On-2 part adhesive cement. See accessories for other Epoxy related products available. Duratop epoxy is nonporous which makes it naturally anti-microbial, anti-bacterial, and anti-fungal growth resistant..
Duratop epoxy resin laboratory tops are the materials of choice for the harsh environment of research laboratories, schools, hospital or other wet lab facilities. Epoxy tops or work surface products and the Duratop epoxy sinks however are subject to thermal shock when in contact with dry ice or liquid nitrogen and our products are not warranted against damage from their use. 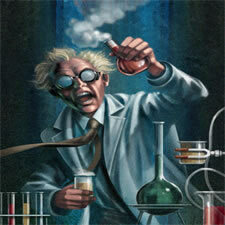 The improper use of dry ice or liquid nitrogen may cause cracking or sink failure. USING ASTM D-635 TEST PROCEDURE, A 3/8" (9.525mm) BUNSEN BURNER, ADJUSTED TO A QUIET FLAME WITH A 1.5" (38MM) INNER CONE, WAS OVERTURNED ON THE DURATOP EPOXY WORK SURFACE FOR A PERIOD OF FIVE (5) MINUTES WITH NO ADVERSE EFFECT, WITHOUT EXHIBITING ANY BLISTERS, CRACKS, NOR ANY BREAKDOWN OF THE WORK SURFACE. DURATOP EPOXY RESIN IS SELF EXTINGUISHING AND SHOWS NO BURN RATE, IN ACCORDANCE WITH ASTM METHOD D-635. (15ML CAPACITY) ONTO THE LAB COUNTERTOP AFTER HEATING OVER A BUNSEN BURNER UNTIL THE CRUCIBLE BOTTOM ATTAINS A DULL RED HEAT. IMMEDAITELY AFTER, THE HOT CRUCIBLE IS TRANSFERRED TO THE WORK SURFACE AND ALLOWED TO COOL TO ROOM TEMPERATURE. THE RESULT WAS THAT THE EPOXY RESIN SURFACE EXHIBITED NO BLISTERS, CRACKS NOR ANY BREAKDOWN OF THE WORK SURFACE. ALL INFORMATION DESCRIBED HEREIN IS BASED UPON MANUFACTURERS' TESTS AND DATA BELIEVED TO BE ACCURATE AND CURRENT. THE INFORMATION PROVIDED IS TYPICAL AVERAGE VALUES AND CHEMICAL RESULTS MAY BE COLOR DEPENDENT. NO ONE MATERIAL IS SUITABLE FOR ALL THE CONDITIONS POSSIBLE. THEREFORE THE PROPERTIES OF ANY MATERIAL SHOULD BE CHECKED FOR SUITABILITY UNDER THE SPECIFIC CONDITIONS OF EACH INSTALLATION. THE FINAL DETERMINATION FOR SUITABILITY OF DURATOP EPOXY RESIN MATERIALS DESCRIBED ABOVE IS THE SOLE RESPONSIBILITY OF THE USER.